All of our teachers have been members of finalist drum corps and have valuable leadership and conducting experiences to bring to the table. Get to know our world class team. They teach lessons, create Stream content, and teach clinics. Samuel has finished his seventh season as a Drum Major, three in high school and four for Bluecoats. Samuel loves starting new students as conductors and perfecting seasoned leaders. Claire has finished her first season as the head conductor of Phantom Regiment. Before this season, she was the head drum major of the O'Fallon Township Marching Band. C.C. played mellophone with the Bluecoats in 2013, and was with the Blue Devils from 2014—2018 playing mellophone and serving the corps as a Drum Major since 2016. After serving as the Drum Major for three out of his five years with the Vanguard Cadets, Carl then moved on to conduct for the Phantom Regiment and then the Santa Clara Vanguard. Kolyn has served two years as a Drum Major for the Bluecoats. He attends the University of Southern Mississippi where he studies music education and plays the trombone. They teach at clinics and create Stream content. Nicole has finished her fourth and final season of drum corps, first with the Troopers and three with the Bluecoats. 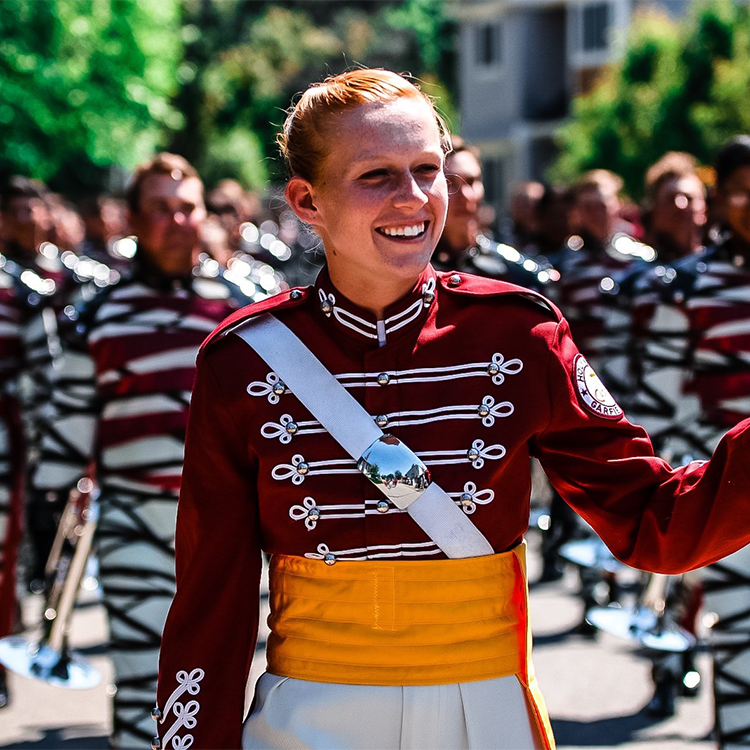 Nicole served as a brass section leader in 2018. Kait has just finished her third and final year on the Drum Major team and her sixth consecutive year with the Boston Crusaders Drum & Bugle Corps. Claire has finished her fifth season of drum corps, two for Music City and three for The Cadets. Claire is the 2018 Jim Jones Leadership Award winner. Ross has just completed his seven-year career as a performer in the marching arts, most recently having served as the drum major for Carolina Crown. Stone marched with the Santa Clara Vanguard for five seasons. He served on leadership for the Vanguard for three years, two of which he served as horn sergeant. Peyton has completed her fourth season as a Drum Major, serving River City Rhythm Drum and Bugle Corps in 2017 and the Bluecoats in 2018. Marcus has finished his second season as a drum major for the Mandarins. The Mandarins made finals for the first time in their history in the 2018 season. Graham spent three seasons with the Bluecoats as a drum major alongside Samuel Crawford. Graham spent the 2018 summer as a DCI digital marketing intern. Josiah was a Drum Major for Spirit of Atlanta for the 2015 and 2016 season, then aged out with the Phantom Regiment as their conductor in 2017. 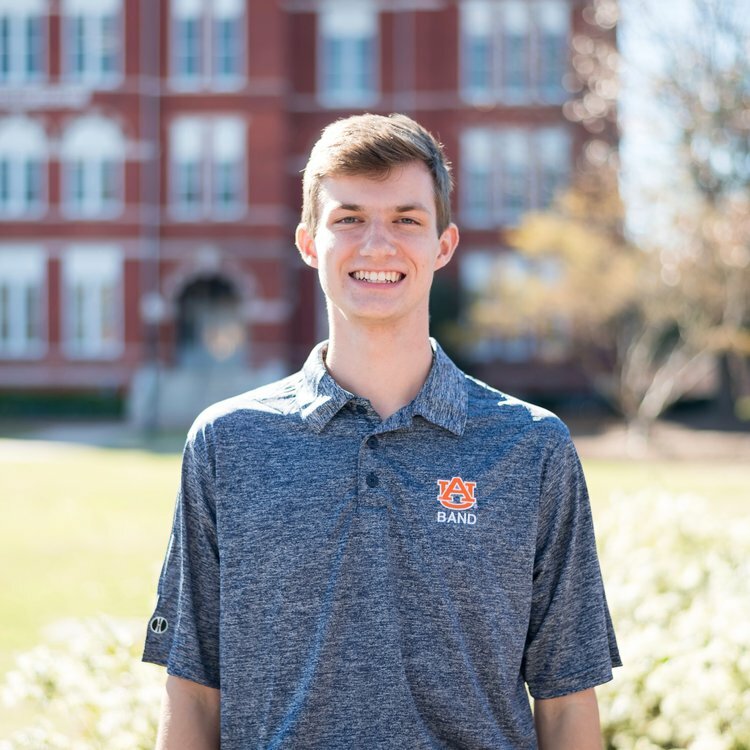 Trey served as a Drum Major for two years at Vestavia Hills High School and currently is a drum major for the Auburn University Marching Band.